We’d like to introduce Noriko and Hiroko. They are two of our longest standing and hardest working students! They have been studying with us since the school opened six years ago. They have been studying English 2 to 3 times a week every week since then! 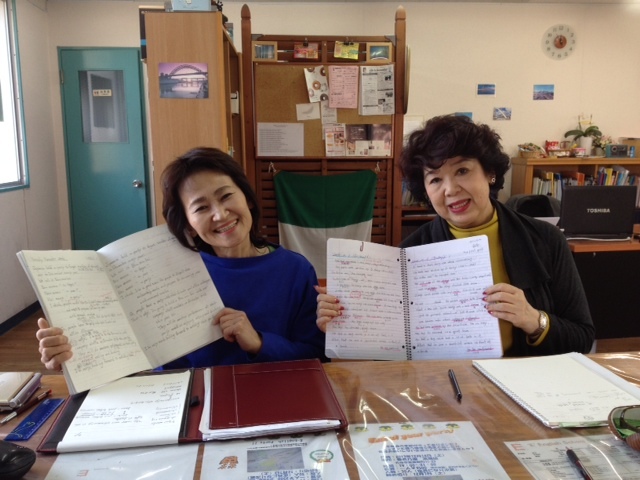 We have seen Hiroko and Noriko progress from barely being able to communicate at all in English to now being able to communicate easily in English!! Last year they took a trip to Australia, and they did not go as part of a tour. They went by themselves! They organised flights, hotels, restaurants, entertainment, sightseeing and everything else on their own all in English!!! Their goal is to volunteer at the 2020 Tokyo Olympics! We think that is fantastic. We also think Noriko and Hiroko serve as motivation and inspiration to all other students at our school. They are proof to the fact that English can open the door to new and amazing experiences in your life! Matt Oliver and Marc and all of us at E English are very proud of Hiroko and Noriko. Well done!